Dan Pallotta: How Can We Push Ourselves To Dream Big? Stepping outside of one's comfort zone can happen on different levels. Entrepreneur and humanitarian activist Dan Pallotta says that doing so is not only important for individuals — but for society. < Dan Pallotta: How Can We Push Ourselves To Dream Big? Do you ever kind of look at your life and say - I need to shake things up? It's too comfortable. DAN PALLOTTA: Yeah, I do. RAZ: This is Dan Pallotta. He's an author and an activist. PALLOTTA: Sometimes, I look at my life and I think - wow, I've stepped out of my comfort zone a lot. And sometimes I think, I need to venture into new ideas. RAZ: Dan's probably best-known as the creator of multiday charity events, things like the AIDSRide bicycle ride and the breast cancer three-day walk - events that raised close to $600 million for charities. And Dan says, today, our society seems to have stopped dreaming big, stopped moving outside its comfort zone to accomplish big things. Here's Dan's idea from the TED stage. PALLOTTA: I was 8 when I watched Neil Armstrong step off the lunar module onto the surface of the moon. I'd never seen anything like it before, and I've never seen anything like it since. We got to the moon for one simple reason. John Kennedy committed us to a deadline. And in the absence of that deadline, we would still be dreaming about it. Leonard Bernstein said two things are necessary for great achievement, a plan and not quite enough time. PALLOTTA: Deadlines and commitments are the great and fading lessons of Apollo. And they are what give the word moonshot its meaning. And our world is in desperate need of political leaders willing to set bold deadlines for the achievement of daring dreams on the scale of Apollo again. PALLOTTA: If you go back and watch documentary footage of Gene Krantz, who was the flight director at Mission Control, or any of the astronauts talking about that time, they tear up - these engineers, they cry openly at the beauty of what that was and at the beauty of what we did. And we don't have goals for anything. We don't have a deadline for ending poverty. We don't have a deadline for ending hunger. We don't have a deadline for curing cancer. Apollo was the last time the United States, as a nation, put its you-know-what on the line for something daring and incredible. And I think grown men and women yearn to weep at the sight of accomplishments on that scale again, absolutely. RAZ: I mean, I agree. But that's huge and ambitious. Where do you even start? PALLOTTA: I think the key is that you start small. Stepping out of your comfort zone doesn't necessarily mean you have to do something huge. It could be something very little. You know, I read an article yesterday. I can't remember who wrote - the woman who wrote it. And she said, what if I don't want to end hunger in Africa, but I just want to help people in my own community? And like, we grew up in this change-the-world age. And sometimes I wonder if it isn't part of the problem, if us all working on global issues and overlooking the local issues and neighborliness and - you know, we have an abundance of the word community and a deficit of actual community. So I think that's whence a lot of our problems stem. RAZ: So if I understand what you're saying correctly, you're saying that these big dreams might in a way come at the expense of, like, meaningful connections that we have with people in our communities or even our personal relationships. PALLOTTA: I think there's a dream deficit. It's about the need to dream in two dimensions. That we are kind of dreaming on the doing side of things - self-driving cars and all kinds of IPOs for new dot-coms. And where we don't dream is in the emotional side of our lives. That we can't get any better at understanding one another. And that's where I think the dreaming deficit is. And I think we're trying to solve too many of our problems in the domain of doing and thinking we can completely bypass the domain of being. Well, if you really want to get to the root cause, I think the root cause lives in our inability to be with one another. RAZ: I mean, I think a part of what you're talking about is personal vulnerability - right? - because for many of us show - being vulnerable and showing vulnerability is as difficult as the race to the moon. I mean, that is a valid testing of one's comfort zone. PALLOTTA: Absolutely. And, you know, like, I remember at a young age - I guess it was 18 or something - and our next-door neighbor had passed away. And I was with my dad in the yard. And my dad's - was a construction worker. He's still living, but he's no longer a construction worker. And I wanted to tell him that I loved him, you know? And I remember that took an enormous amount of courage to say, Dad, and him say - look at me and say, what? And I said, I love you. And that was a big leap out of my comfort zone. PALLOTTA: Because it sort of comes from completely out of left field, right? You're used to talking to your dad about, hey, run down to the hardware store and get me some PVC pipe for this plumbing we're going to repair or gossip, right? You know, that's the level of conversation. To elevate it to I love you, it's just a whole different playing field. And it's a risk - right? - 'cause he might say, what's wrong with you? Is something wrong with you, (laughter) you know? I mean, don't talk like that. He didn't say that. You know, he said I love you back to me. And I wanted to have that kind of relationship with my dad and with my mom. I didn't want them to die without them knowing at the deepest level how much I appreciated them and felt about them. PALLOTTA: It is our inability to be with one another that gives rise to so many of the problems we are frantically trying to solve in the first place, from congressional gridlock to economic inhumanity. We should not shrink from this opportunity simply because we don't really understand it. That is the very definition of being stuck in a comfort zone. It is the dimension of our being itself that cries out for its fair share of our imagination. It's time for us to dream in multiple dimensions simultaneously. It's an honor to be with you. Thank you very much. RAZ: Dan Pallotta - you can see his entire talk at ted.com. WIZ KHALIFA: (Rapping) Uh-huh, no pain, oh, uh-huh, no gain. Who said we can't change the world? Look how we changed the game. Uh-huh, no pain, oh, uh-huh, no gain. RAZ: Hey, thanks for listening to our show Comfort Zone this week. If you want to find out more about who was on it, go to ted.npr.org. To see hundreds more TED talks, check out ted.com or the TED app. And you can listen to this show anytime by subscribing to our podcast. You can do it now on Apple podcasts or however you get your podcasts. Our production staff at NPR includes Jeff Rogers, Sanaz Meshkinpour, Jinae West, Neva Grant, Rund Abdelfatah, Casey Herman and Rachel Faulkner with help from Daniel Shukin. Our intern is Deva Motasham (ph). Our partners at TED are Chris Anderson, Colin Helms, Anna Phelan and Janet Lee. If you want to let us know what you think about the show, please go to Apple podcasts and write a review. Also, you can write directly to us at tedradiohour@npr.org. And you can tweet us. It's @TEDRadioHour. 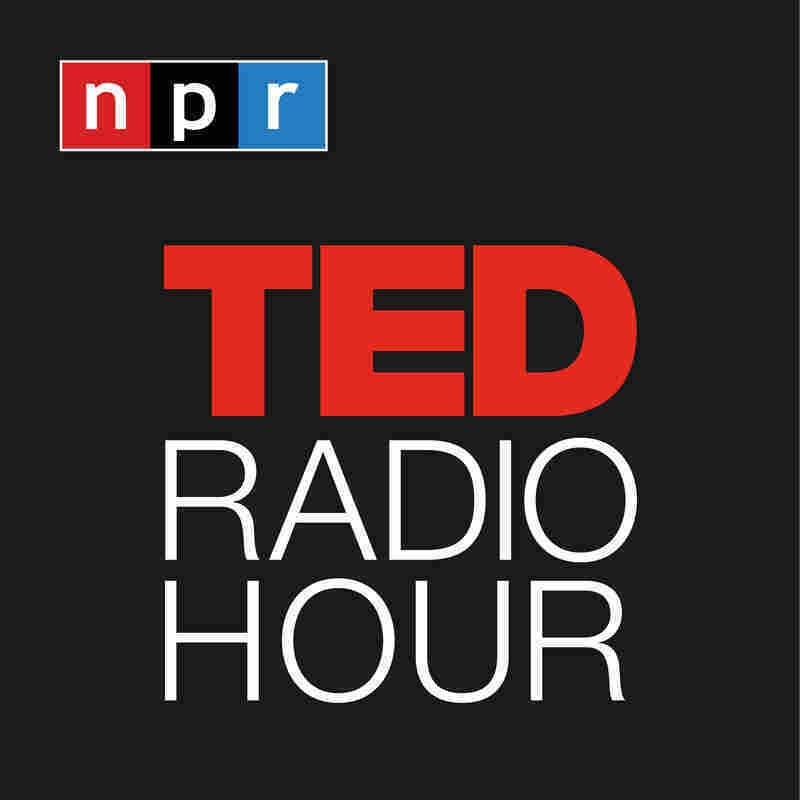 I'm Guy Raz, and you've been listening to ideas worth spreading right here on the TED Radio Hour from NPR.